For homes built with dormers (or for homeowners looking to add a dormer onto their home), an addition that can greatly enhance the space is dormer windows. These windows are basically installed on a dormer, the part of a home that is built out from the roof or side of a house to turn the attic into livable space. Dormer windows serve multiple purposes – letting in much needed light, adding visual space to an otherwise small area and even creating a cozy seating spot (if you add a window seat!). Any type of window dormer that is added to the space below your roof can add to the livability of the space. Dormer windows can be any size, from very small to very large. The key is to carefully factor dormer window plans into your initial building plans when creating a dormered space so that they work properly with the space. One of the biggest drawbacks to using these projects is the cost of dormer window installation. If not planned out properly during the initial renovation of a dormer, installation costs can be rather steep and can make it less likely that you’ll take advantage of the many benefits that installing a dormer window can provide. Read more on dormer windows cost. The cost of a dormer window will depend on a number of factors, including the size, shape and energy efficient features, as well as the manufacturer of the window. It is important to not skimp on quality for this type of window because it needs to adequately ventilate the space and keep heat and moisture out, due to the dormer’s location just below the roof line. Some types of dormer window design require custom manufacturing, which can greatly increase dormer window prices. Again, if planned out properly, homeowners may be able to take advantage of stock size windows to keep costs lower. By planning ahead during the initial design phase of your dormer construction project, you can make sure the windows in the space look good and provide added functionality, but that they are also as cost effective as possible to purchase and install. Read more on what dormer windows cost. 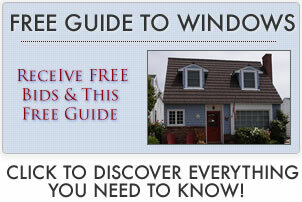 There are a number of advantages to these types of windows. They let in much needed light and air. The space below the roof (where dormers are situated) can get hotter than the rest of the house, so having a good means of ventilation is very important. 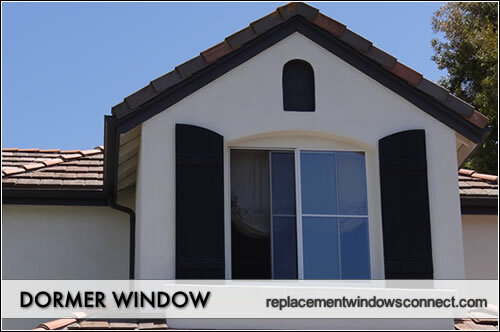 Window dormers can also provide an escape route, or egress, in case of emergency and are often required by building code if the dormer renovation is a recent one. Dormer window designs can also enhance the exterior look of a home, since they are very noticeable due to their height. For this reason, dormer window styles should be chosen wisely to correspond well with the overall look of a home. Finally, these windows can turn a ho-hum space into a truly livable and vibrant space that is used by the whole family. The biggest disadvantage to dormer windows is the cost. The cost of a dormer window can be rather steep for a number of reasons. For one, the windows have to comply with building codes to allow for safe egress. This means that they must be at least 20″ wide and 24″ high and must have an opening of at least 5.7 sq ft in total and be operable (meaning they open). Also, because they are placed in a location that can be extremely hot, it is important to select windows with quality energy efficient features, which can increase the price tag as well. The biggest culprit to dormer window cost, however, is the cost of installation. If not planned out properly while the dormer is being built, it can be expensive to install a new window due to the location.